Private Villas are a great choice to holiday in Sri Lanka, especially if you are seeking privacy. 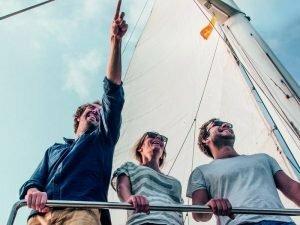 But you never know if you have got all the insights and information from the overseas villa agents, as they tend to depend on the local partners to have more perspective. So booking your villa Beach villas holiday to Sri Lanka, could sometimes end up in disappointment, with a wrong villa choice. 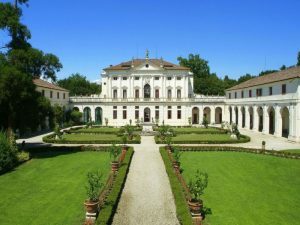 Unlike most villas in other European countries such as Italy, France, Greece or Portugal, most of the Sri Lankan villas tend to come with chef and full staff service, and many a time, service charges and taxes are included, making it look rather pricey. However, there are also some great Budget self-catering villas and beach houses available. For those who wish to avoid large and crowded beach hotels, our portfolio of villas can be of great help: all properties have unbeatable positions and are great deal for villa holidays in Sri Lanka. Villas can be located inland, a few minutes from the beach or right on the beach. The most loved beaches in Sri Lanka for a villa holiday are Bentota, Galle, Mirissa, Weligama Dikwella and Tangalle. Each beach has its own peculiarities and is suitable for different needs and tastes. Some are great for surfers, some are safer for families with kids as they are located on beaches that are very good for swimming, some are wilder and other are great for party-goers. However, all beaches in Sri Lanka have great palm-fringed beaches, some of the best in South Asia! If you are travelling with your family, there are some family and kid-friendly Villas you should take into consideration before booking. Below you can find our personal selection of Beachfront Villas in Sri Lanka. We hope the list will be useful for your next holiday villa planning! This stunning new Beach Villa is ideal for your next dream villa holiday in Sri Lanka. If Beach is all you need then look no further! During Christmas and New Year holidays, the villa owners are generous to offer the whole villa for USD 1,400 a night and the price includes breakfast too. The Price is a good deal comparing to other villas on this beach stretch. In addition, full time housekeeping, chef, Pool Pavilion with day beds and fan, and built in Weber BBQ at the rear. Hop step and hump and you are onto the golden sands of Talpe Beach, 10 minutes away from the Galle Fort. The villa is set over three floors, and it has 4 air-conditioned, en-suite bedrooms. The three king rooms face the beach and have sea noise but no problems with traffic. The fourth bedroom has double glazing so is quiet. The villa has a big open-plan living area and includes TV, WiFi, a well-equipped kitchen with a dishwasher. The Villa is let on a bed and breakfast basis included in the tariff or you can upgrade to a full Sri Lankan breakfast at a modest cost. The in-house chef will happily prepare lunches and dinners with a day’s notice (menu available at the time of booking) and makes use of the abundant fresh seafood and local produce available daily. Snacks and drinks are available on demand at set prices. You can read more on our blog, if you want to better understand the meal policies in Sri Lankan Villas. 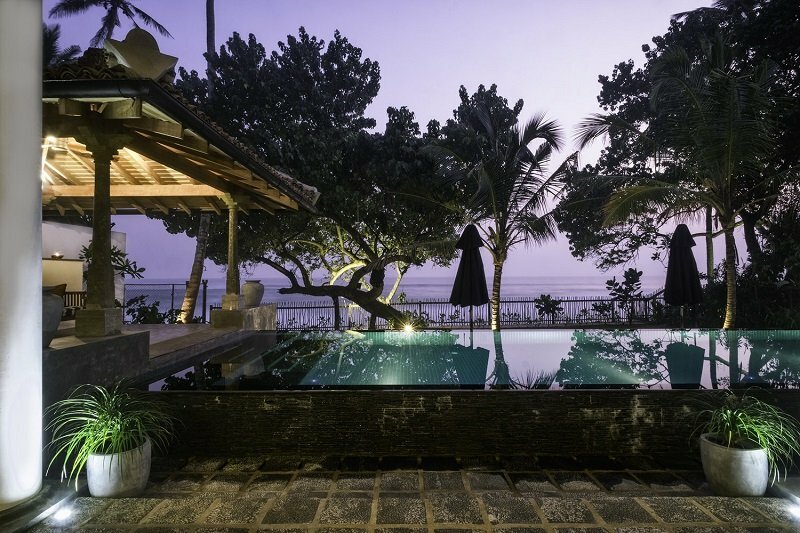 The villa is ideally located with a short drive of less than 15 minutes to the tourist mecca of Galle Fort with its many eclectic shops, bars and restaurants. Mirissa Whale watching is 40 mins drive. Villa 37 in Dikwella | A great location for surfers. 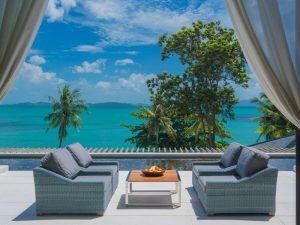 This private and secluded property is located in a peaceful, elevated position with breathtaking views of the sea. The interior is attractively decorated throughout and features tiled floors. Outside, the inviting swimming pool is surrounded by a green grass, great to get tanned on almost all sunny days of Sri Lanka. The Villa comes with 2 rental options: there are 2 properties next to each other with their own private pools, so you can take either the 3 bedroom villa or the 02 bedroom villa, if you are a small group. If you are looking for somewhere between 08 to 10 pax, a larger group, it is best if you take both villas together with the 2 private pools. The Houses are situated in one of Sri Lanka’s best surfing areas. It is a favourite location for many of the local surfing schools, who can provide lessons and equipment at your request. The beautiful sandy beach is just a hop step and a jump: you can spend your days gazing across palms, surfing or snorkelling, or enjoy the pools at the villas. A New addition to our collection of villas, and needless to say the pictures speak of the property and location. If you are seeking a modern villa living putting aside the little charms and characters, then villa 123 is a great choice. The luxury beach house in Tangalle sits on a plot of land measuring 123 perches. This beach front property sits on west-facing bluff some ten metres above the beach. The garden descends direct to the rocky shore, providing direct access for a walk along the seashore. This Luxury Beach house in Tangalle comes with three double bedrooms with en-suite bathrooms have both ceiling fans and AC. The rest of the house does not have AC as the ceiling fans and sea breezes provide ample cooling. The en-suite bathrooms are all ‘inside and out’ with the double basins and loos fully covered but with open air private shower areas. Kids are welcome, although the pool is not fenced nor alarmed and Unakuruwa beach does not have a life guard. It may not be the most relaxing holiday for parents with small, mobile children that don’t swim confidently. We can organise English-speaking childcare on sufficient notice. Prices from USD 480 to USD 800 a night, depending on the season. Villa 59 | A stunning 5-bedroom Villa in Habaraduwa Beach. You can get a taste of the laid-back Sri Lankan Beach lifestyle in this delightful 5-bedroom Villa. 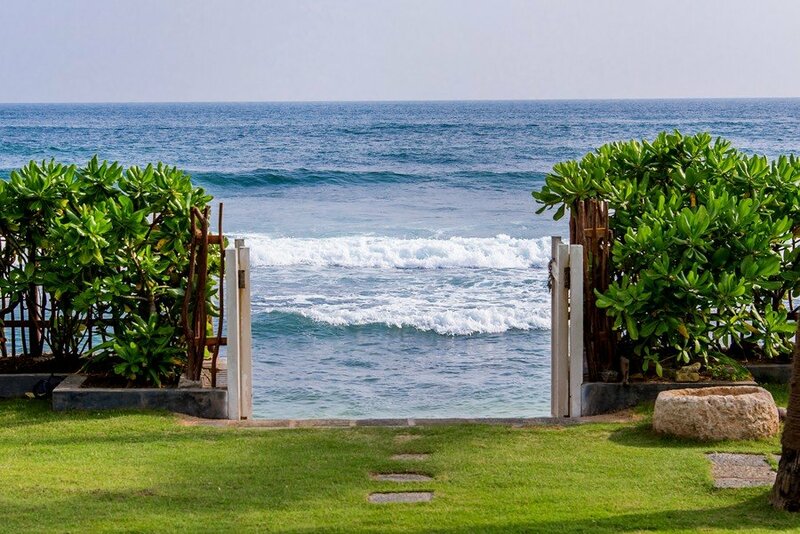 This Luxury beachfront house is a villa with large gardens ideal for beach weddings in Sri Lanka (accommodating 100 guests) is situated not very far from the UNESCO city of Galle Fort and Unawatuna Beach. 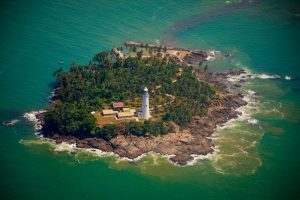 Both locations boast old and new style bars and cafes in the centre of the beach village in Unawatuna, as well as traditional Dutch churches at the heart of Galle Fort. This villa is an ideal choice for families with children seeking safe beaches. You’ll find the beach right in front of your door step and, according to us, is one of the best beaches in the South Coast of Sri Lanka. The fifth bedroom is a bunk beds room and it is ideal for children. The house has also toys and facilities for small children such as high chairs and babcy cot on request. Rates start from USD 980 to 2,075 per night, depending on the season. It may not be the most luxurious Villa in Sri Lanka, but one of the most favourite of our guests! Villa 21 is a simple villa living with laid back atmosphere and a wonderful friendly staff and cook makes this a villa a very special Beach villa near Dikwella, Sri Lanka. The staff and dedicated butler will ensure every need is met without being imposing and can organise a number of varied day trips to the nearby surroundings. 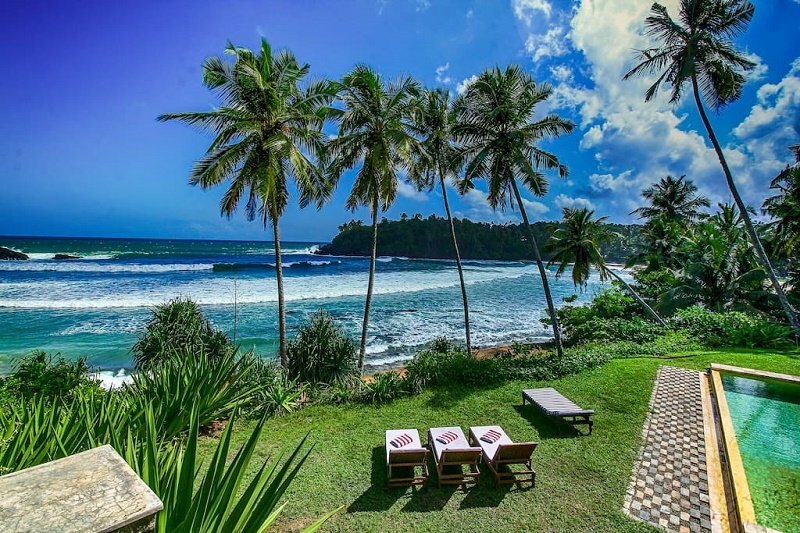 The Villa is also located walking distance from one of the hippest surfing locations in the South Coast of Sri Lanka for 2019: Hiriketiya Beach, making it one of the ideal beach villas for surfing lovers. 4 bedrooms (comes with 03 doubles and 1 twin)- All bedrooms are air-conditioned. Seasonally safe surfing in front of the Villa. Prices from USD 546 to 983 per night all taxes included, depending on the season. 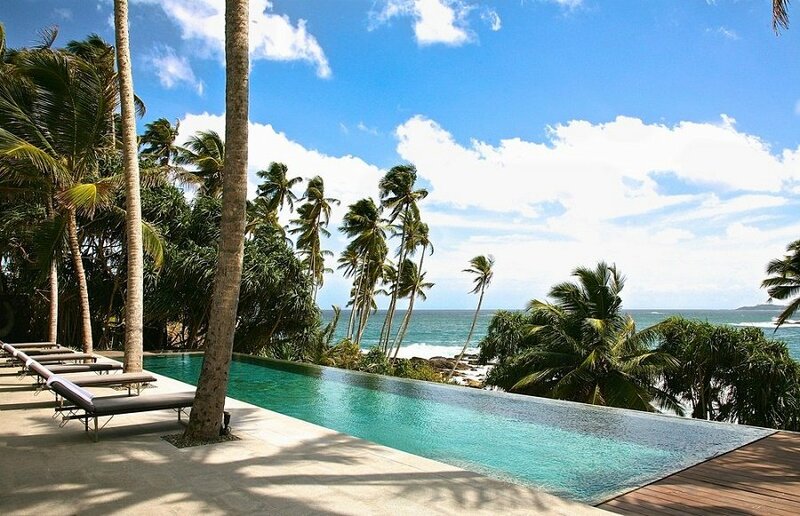 This beautiful contemporary Villa has been praised as one of the best beach Villas by Conde Nast Traveller UK and is located a very short walk to one of the nicest beaches in the South Coast of Sri Lanka. 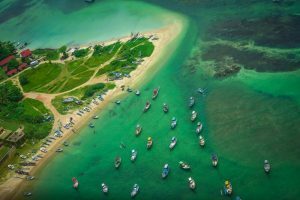 The beach is great for swimming and body boarding and still keeps the peace and calm of fishermen village life, making it an ideal destination for those looking for relaxed beach holidays on wild, untouched beaches. The Villa has 4 bedrooms and sleeps comfortably 8 people. An extra room can be allocated for larger groups. 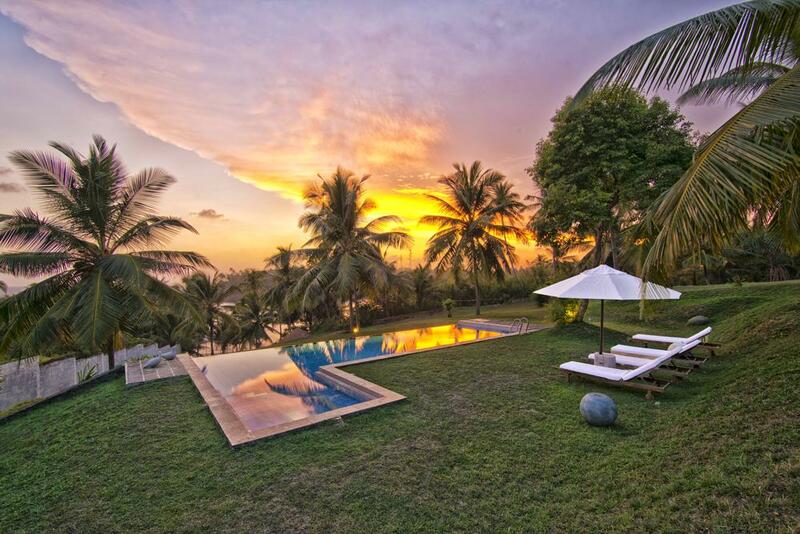 The Villa has also an Ayurvedic spa and an infinity pool with sweeping sea views. The design blends a simple tropical aesthetic with modern luxury. The full-time staff include a gourmet chef. The house is located in a cashew grove. Rates vary from USD 650 to 1,200 per night, depending on the season. Special Rates are applicable for small families (2 bedrooms only). Contact us for rates and availability. 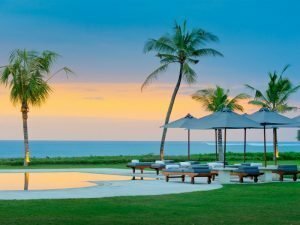 This is only a short list of best beach villas in Sri Lanka. Check out also our selection of villas located on the safest beaches in the South Coast of Sri Lanka.